Strong Schools, Not Special Interests! Public schools are stronger with public input, and we must preserve democracy in education. In November, I composed my first ever resolution for the Board of Education. At a special session on November 28th, 2017, the Board voted unanimously, with a minor edit, to pass the resolution. We have an excellent team this year, and all of us are still working to serve the students and citizens of St. Louis City. 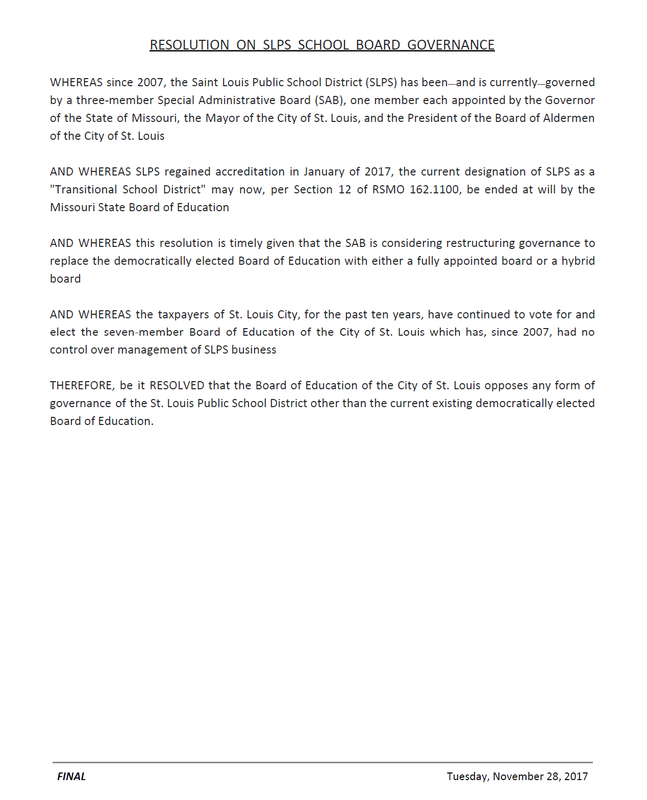 You may view our official stance on SLPS governance on the District website or view/download the PDF here. This entry was posted in Uncategorized on November 29, 2017 by Natalie A. Vowell.